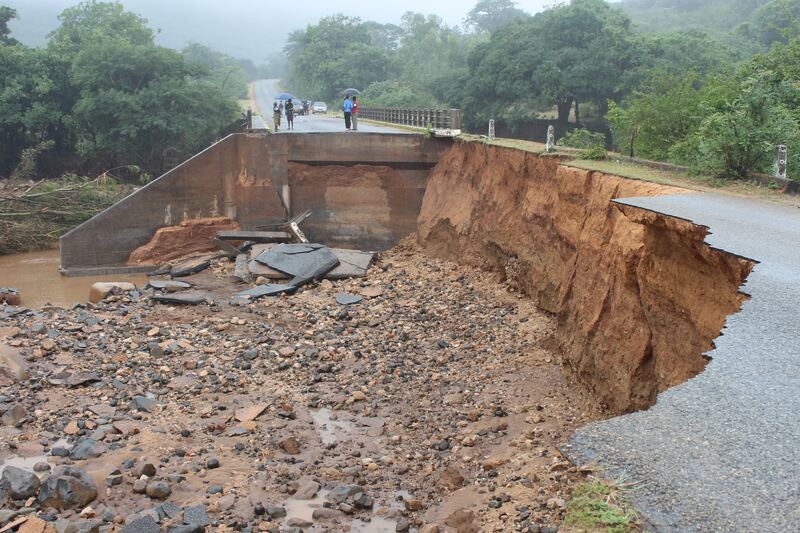 Government says it needs an excess of US$ 200 million for the reconstruction of road infrastructure in flood hit areas of Chimanimani and Chipinge, with the cost estimated to sour as government not only seeks to reconstruct broken road but to also set up new infrastructure. Road infrastructure was severely damaged making it difficult for rescuers to access some areas with food relief. Speaking on the sidelines of the two courtesy calls by the ambassadors of Indonesia and China this morning, Transport and Infrastructure Development Minister, Joel Biggie Matiza said though his ministry was still seized with quantifying the extent of damage to road infrastructure, preliminary assessments point to over US$ 200 million for road construction. “We are still quantifying those issues (money for reconstruction), but it’s in the range of US$ 200 million,” said Matiza before conceding that much of the resources will have to be met through private sector intervention. Manicaland is the gateway to the eastern border with Mozambique and a broken road network poses serious challenges to trade and commerce for surrounding areas. Government has already started resource mobilization efforts towards reconstruction of road, bridges and other essential infrastructure. Yesterday President Emmerson Mnangagwa met businesses and captains of industry to give stimulus to private sector participation towards reconstruction. Meanwhile Indonesian Ambassador to Zimbabwe, Juniarta Sastrawan said his country will assist in reconstruction of essential infrastructure in affected areas, but went on to say not only will that be his focus but to also look at critical areas which need infrastructure development in the country. Speaking to press after a courtesy call at Minister Matiza’s offices, Sastrawan said his country harbours railway development plans in the country and was keen to partner the national railway liner, NRZ. “We are interested in the railway sector. We have expertise in this area and as you know I am still knew here and one of the key focus areas I have identified can offer massive opportunities for our people is the area of railway development,” said Sastrawan. Government has already put NRZ up for grabs for potential suitors to partner government to recapitalize the parastatal and also resuscitate rail infrastructure. Already, South African investor, Transnet and a Zimbabwean business consortium Diaspora Infrastructure Development dedicated US$ 400 million towards recapitalization of NRZ in 2017 which saw improvements starting to take place notably in the acquisition of new rolling stocks.